personalize with your words and a photo. You're all set! The items shown above can all be personalized with your words or photo to make them completely unique. Gifts-to-go are designed to make giving quick and easy but still personal. Most items arrive already beautifully packaged and ready to give. 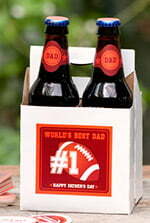 Handsomely packaged in a sturdy, lidded kraft box, sets of 12 or 24 personalized coasters make a wonderful gift. Opening a box of coasters featuring their names, photos or a special message is an extra fun surprise for friends and family. Sets of personalized coasters are perfect as gifts for holidays, birthdays, weddings, anniversaries, graduations, bar or bat mitzvahs, baptisms, housewarmings and more. 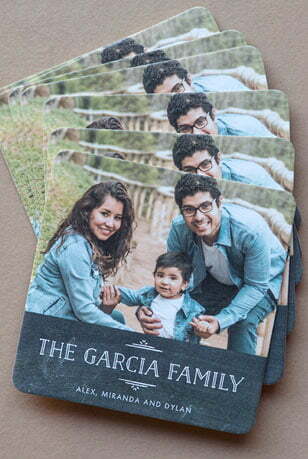 Coasters are printed on one side with waterproof inks on absorbent extra-thick paperboard. A set of bookplates attractively packaged in a handy clamshell tin make a perfect gift! Bookplates are ideal for a teacher's lending library, your favorite student, baby's nursery bookshelf, the magazine collector, home or office library, book collections such as travel, cooking, science, gardening and more. Buttons are available as pins or magnets. They make great gifts for students, parents, grandparents and friends. Create them as wearable or refrigerator art with a custom image, text or an icon from our collection. Buttons let you get creative with a personalized gift people can share and show off. 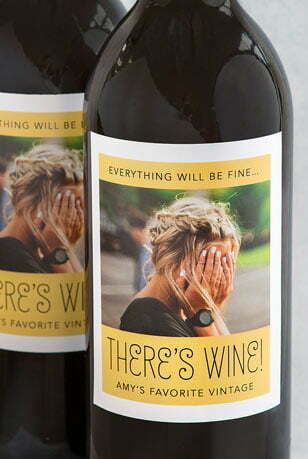 Wine labels are really fun to personalize with names, special text and/or photos. 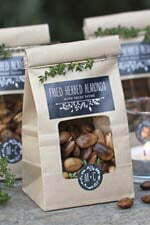 Bring to a party as hostess gift, give for birthdays, holidays, anniversaries, college graduations or any celebration. Always a welcome gift — their favorite wine sporting a surprise label made just for them! 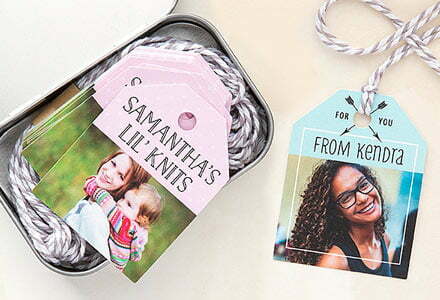 Tin of Tags is a super fun, compact gift that's ready-made for giving. 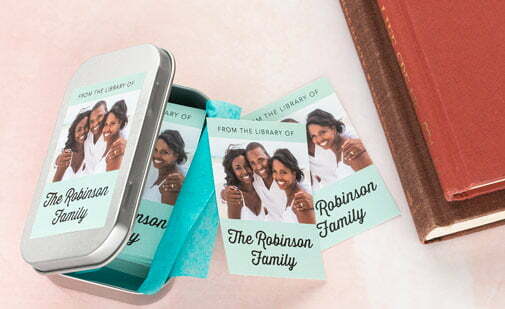 A set of tags can be personalized with recipient's name, a greeting, text about something they make and even a photo. A bundle of soft but durable baker's twine (in choice of colors) is included. Tags and twine tuck neatly inside a cute, shiny clamshell tin for gift-worthy presentation and safekeeping. Thank you cards and personal stationery make a great gift for people who love sending the "real thing" — tried and true handwritten cards! Even better, these feature your recipient's name plus a custom message. They can be "thank you" cards; or anytime cards for letter writing that say "thinking of you", "greetings from", "with love from", or simply "hello!" Return address printing on envelopes is also available. You personalize the gifts with your own words… the text in the images above are for example only. Small quantities are what we are all about so you can get just the amount you need, and ordering is fast and easy. Plus, you are sure to be happy with your order — we are the only place we know of that offers a money-back guarantee on personalized products. Make your holidays and celebrations extra special with custom gifts from Evermine. Looking good has never been easier!